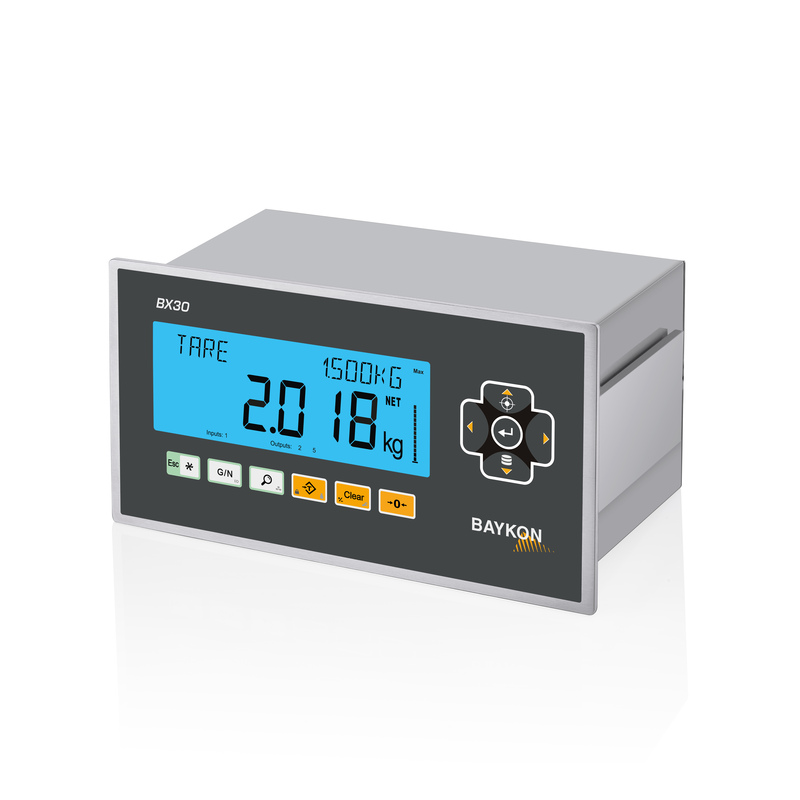 Baykon Industrial Weighing Systems has launched the BX30 and BX30D panel type advanced weighing indicators. The BX30 and BX30D are for use with analogue and digital load cells respectively for process control, weighing and force measurement. The BX30/30D design was based on cutting-edge technology and meets the requirements of all industrial process weighing applications with its high speed, high accuracy, powerful interfacing and excellent durability - as well as a favourable price advantage. The indicator is equipped with a bright, multi-colour and wide-angle LCD display with 22mm high weight digits and a 16 digit alphanumeric information line. It includes 6 different user-languages, a bar graph, and a clear keypad with self-explanatory icons. The measurement unit can be set to g, kg, lb, klb, N, kN and none. These powerful weighing indicators have approval of up to 10000 divisions for legal-for-trade applications according to EN45501 and OIML R76 for single range, up to 3 x multi range and up to 3 x multi interval. Display resolution can be increased to up to 300,000 divisions for industrial applications. 4 digital inputs can be used for zeroing, taring, clear, print, hold, peak hold etc. and digital outputs can be programmable as free set-points with basic, window and threshold features. The indicator weighing indicator has large memory capacity - 500 items and up to 5 set-points for each record. Multiple Control Modes for the digital outputs enable the instrument to be used for sorting, filling, batching and more. Onboard standard interfaces include opto-isolated RS232, RS422, RS485, Ethernet TCP/IP, USB ports and an SD card connector that can be used for uploading/downloading the back up files of the instrument. Different BX30/30D variants offer various additional options including analogue output and digital input /output configurations as well as interfaces for the key field-bus in the market of process control e.g. Profibus, Profinet, Modbus RTU, Modbus TCP, Ethernet IP, Canopen, CC-Link, EtherCat, PowerNet etc. Importantly, the digital I/Os of the BX30/30D can be controlled by a PLC as a Remote I/O reducing the need for seperate PLC IO modules and additional cabling. The ultra fast analogue output of the BX30 also has very high resolution and great long term stability. Do you need a Panel Mount Weight Indicator for Labelling, Filling or Checkweighing with Multiple Accumulators and Powerful Interfacing - choose the BX30! Setup and Labelling is extremely easy on the BX30 with a simple menu driven operation and 5 different preset label formats available including single line, multi-line and EPL format with barcodes. Menu guided calibration, multi-point calibration, electronic calibration without using test weights, zero and span adjustment features bring efficiency and time saving to the operator. Electronic calibration is a very effective utility to calibrate heavy tank scales without unloading. The span adjustment feature for non-empty tanks/silos also provides the ability to service and adjust tank/silo weighing systems at any time. Extensive diagnostic functionality that allows engineers to test keys, serial ports, USB port, digital I/O, display, load cell (analogue & digital) and the printer quickly and efficiently. The instrument has data logs that contain an intervention history (when a user has entered the setup menu), any overloading of the scale, peak loads etc as well as optional alibi memory recording. The BX30 panel mounted weighing indicator is suitable for use in wet, hygienic and harsh industrial environments, with it's IP67 protected front panel, aluminium body and stainless steel rear panel. Screw type terminals on the rear panel of the instrument also eliminates any chance of cables coming loose due to vibration, mobile usage etc. For more information and pricing on the BX30 please click here. Have you had enough of Teamviewer for remote support? Teamviewer has truely had it's day, constant updates, super expensive licenses, constant version conflicts, slow and unreliable connection, spying and blocking with no warning. AWM are now resellers for Supremo the latest and best remote support software. Supremo is a powerful, easy to use and complete solution for remote desktop control and support. It allows you to access a remote PC or host a Meeting in just a few seconds. Download, access, control. Supremo is free remote desktop software to provide remote assistance to customers. Supremo is constituted by only one executable file that is very small and doesn't need any installation. In just a few clicks you will be able to provide - or receive - support through Supremo. Supremo uses a powerful data transfer protocol that allows you to connect to remote computers behind routers and firewalls without any configuration. Supremo doesn't need any installation or setup and its connection is extremely secure thanks to its integrated encryption. Supremo allows multiple users to connect to the same computer. This can be very useful when you need to do complex assistance sessions or when you need to do an internet presentation. For example, your customers can connect at the same time to a computer in your company and see a presentation of your products and services. Supremo offers an easy solution for demonstrations and remote courses: Meetings. Hosting a meeting, you can share your screen without giving the control to the other users. Feature available only to subscriber. Supremo provides an integrated file transfer application, that allows you to explore the disks of the remote computer and transfer files and folders in both directions. You can send a folder from your PC to the customer's PC with a simple click, or you can download a file/folder from the customer's PC to your local PC. Supremo is a secure and reliable application. All the data transferred through the Internet is encrypted with the AES 256-bit algorithm. In addition a random 4-digits password is generated at every control session. It's also possible to specify a much stronger password to protect your machine and block specified IDs. All the subscribers of a Supremo plan can customize the executable for free and distribute it to their customers. Discover how to customize Supremo with our guide. Supremo provides a lot of useful features in order to simplify your job. You can install Supremo as a Windows service, to make connection always available in the background. Furthermore it includes an integrated chat application that allows you to chat with multiple users while you are connected for remote assistance. We are currently offering an annual Supremo license for £85 + VAT (the annual price for Teamviewer is a crazy £382!) and our price is 5% cheaper than the online Supremo price. We can instantly provide your download link and online license code and support you from here in the UK. Contact us for further information on sales@awmltd.com. April has been a month of positive change and not just in the weather! 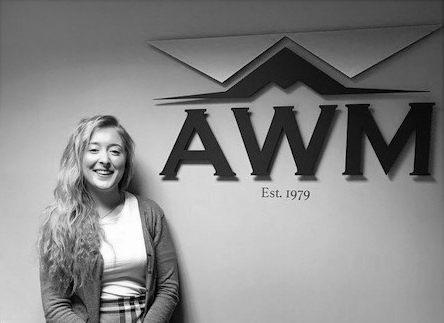 We welcomed three additional members of staff to the AWM team to support our impressive growth and have invested in new IT systems to make our internal processes even more efficient! We continue to develop new innovative weighing solutions month on month and have worked hard to support our partners, notably at the recent Food-EX exhibition. And somewhere in the middle of all this, James got married! Click here to view the April Newsletter Online! 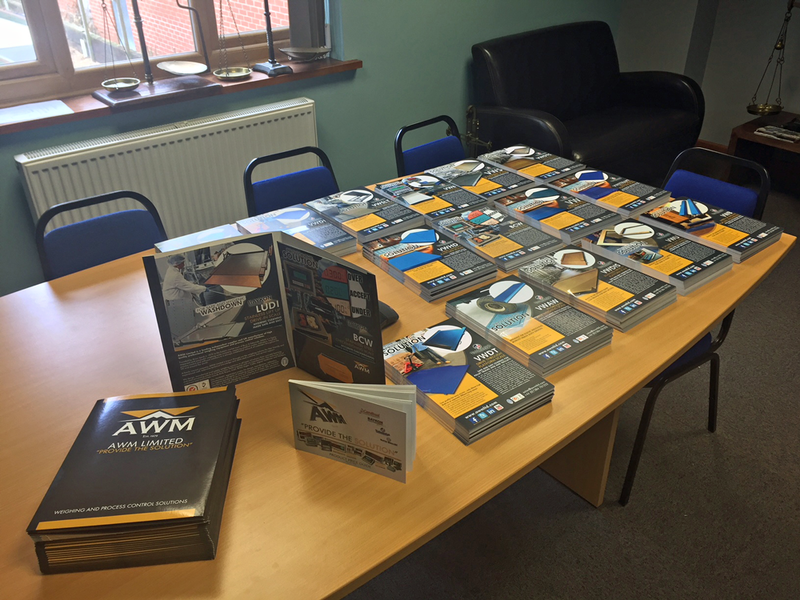 A warm welcome to 3 new members of the AWM Team! We are very pleased to be welcoming 3 new members of staff! A warm welcome to Sophia, Claire & Dan who have joined our friendly team. We are going to do a focus on each new staff member over the coming weeks, first up Sophia! Sophia is our new Marketing Assistant who's involved in all aspects of our marketing from Social Media to Literature/Videos & Market research. Sophia enjoys the cinema, photography & media editing as well some retail therapy on the weekend! She is a creative person who is always willing to take on a challenge. Very active, bubbly and friendly she always keeps a positive attitude towards any situation! Say hi to Sophia on sophia@awmltd.com! AWM Limited are pleased to be recognised as a Premium Consulting partner for Kern. The "Premium Consulting Partner" logo is a way for KERN / SAUTER to distinguish those Sales Partners who have gained special professional expertise for the KERN / SAUTER product range and are the preferred partner for Kern in their respective country. Customer Survey Results and Easter Egg Competition Winner! 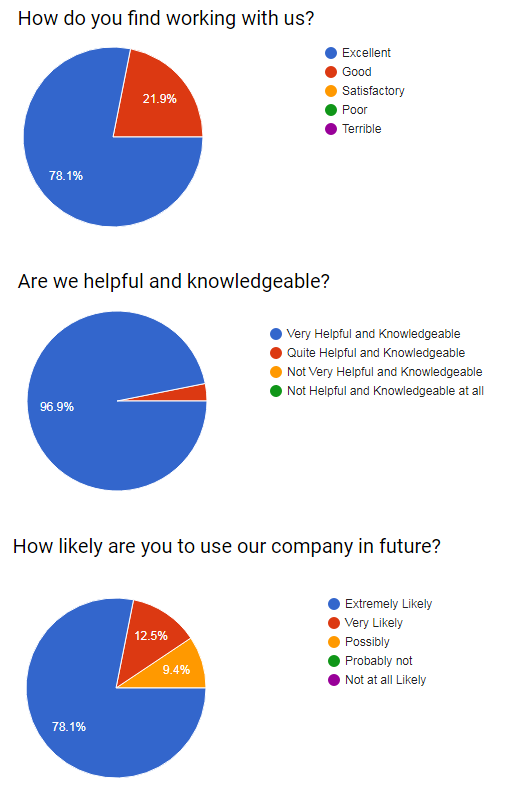 Customer Survey Easter Egg Competition Results! As part of our on-going company wide improvements we wanted to determine our customer satisfaction levels and ask you, our valued customers, about your experiences working with us. Over 30 companies replied and we are really excited and humbled by the results. We work hard to provide the best possible customer customer and support and we are so pleased that you think we are doing a great job! As a thank you for filling in the survey, everyone who completed the form was entered into a prize draw to win an Easter Egg....and here is the winner! New Printed Literature and Presentation Folder! The new literature arrived in the meeting room today! They look really great! Please contact us if you would like a pack sent to you. Don't forget we can also send you a pdf copy with your contact details on for free! All literature is also available online on our Literature Page. Click here to view the Newsletter online. The first quarter of 2018 has been busy to say the least! We've launched the new AWM website, welcomed two new members of staff, launched new products, completed key project installs...and still battled into work through a lot of snow! Some of highlights of the first quarter are included in the newsletter and Q2 looks to be just as interesting. Look out for more product launches before July! As part of our on-going company wide improvements we would like to determine our customer satisfaction levels and ask you, our valued customers, about your experiences working with us. We would really appreciate it if you could take some time to fill in our Customer Survey - feel free to say whatever you feel, positive or negative, all feedback helps us improve! From all the AWM Limited Team! BCW now with Negative Weighing Mode and Auto-tare! Great News! The BCW has always been an ideal checkweighing scale - affordable, accurate, reliable and extremely easy to use. And now, its even better! The BCW can now be used in negative or positive checkweighing mode meaning portion control weighing can be done by adding product on the scale (positive weighing) or by removing product from a bulk container (negative weighing). The filling progress is clear and intuitive for the operator with a bright colour changing display, an on-screen progress bar and an optional audible alarm that sounds in the accept range. The Negative Weighing Mode, used for de-accumulative portion control weighing, is fast and responsive and includes auto-taring between portions and a live on-screen running total to keep an eye on the amount of product in the bulk container. There are 5 customisable colour bands that allow the screen to change colour visually guiding the operator to the most accurate fill. Use the audible beep then confirm when the weight is in the acceptable range.